Oakwood Manor is in the best location! The Village of Fairport provides a charming setting filled with shops and restaurants. Browse community photos of Oakwood Manor to witness for yourself the amazing views and beautiful landscaping that make us unique. 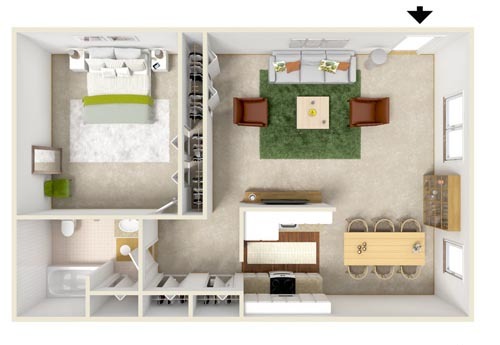 With one-, two-, and three-bedroom floor plans to choose from, you never have to worry about finding the space you need at Oakwood Manor Apartments! 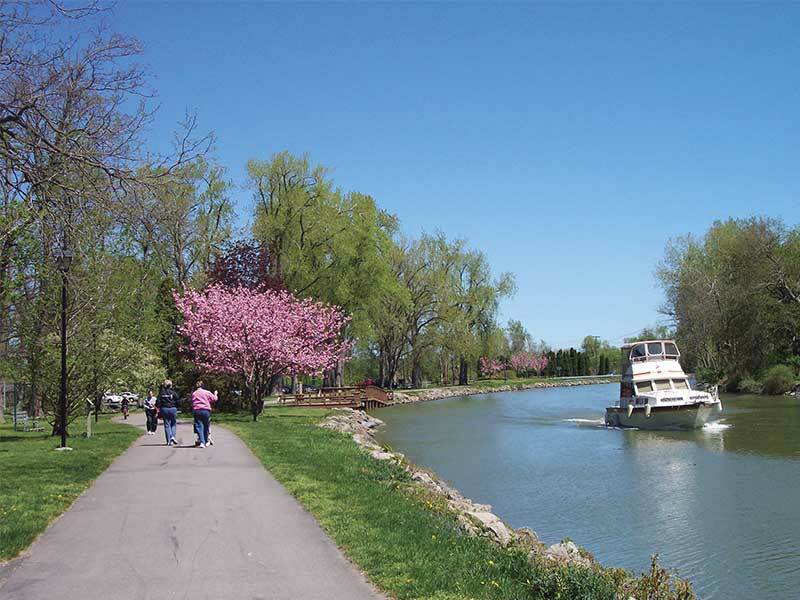 Your backyard could be the historic Erie Canal and the beautiful Erie Canal Heritage Trail! 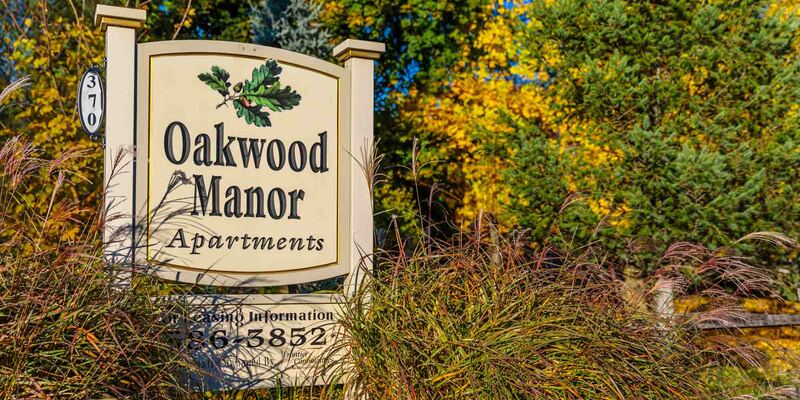 Oakwood Manor is an apartment community located in the award-winning Village of Fairport, New York. This village, named one of Money Magazine’s “Best Places to Live” in 2005, is part of the town of Perinton, New York. This delightful village provides artisan shops, restaurants, the Historical Society and Museum, and fun-filled festivals. 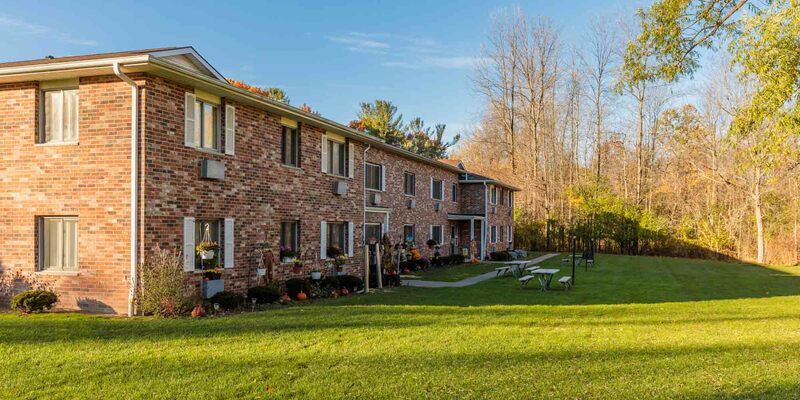 Oakwood Manor is located along the Erie Canal and has a pathway leading to the walking trail. Imagine morning or afternoon strolls along the historic canal – a treat any time of year! 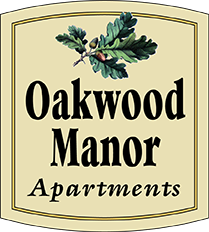 Oakwood Manor Apartments offers more than an ideal location. 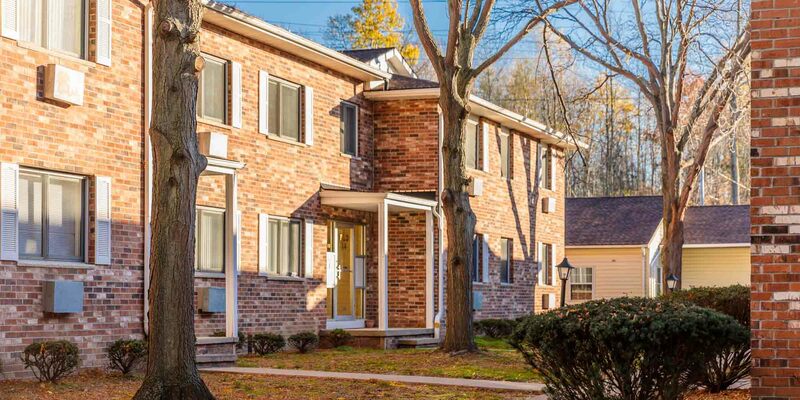 With new or like-new carpet and flooring, fully-equipped kitchens, open living spaces, and convenient laundry facilities, Oakwood Manor is a terrific place to live! You’ll love spending time in the tree-filled courtyards, grilling and picnicking. Or, relax in your spacious apartment and enjoy the spectacular views of the wooded landscape. With one-, two-, and three-bedroom floor plans to choose from, you never have to worry about finding the space you need at Oakwood Manor Apartments! Our spacious apartments offer open living spaces, plenty of natural light, and large closets.